Recently, we were surprised again with snowflakes, one or two at a time trying their hardest to stick on the wet pavement. Every so often, though, Seattle gets a good snow. Look at those mounds in this old photo, which came undated from the State Archives. It must have been 1916. I’ve been dating these photos “circa 1913” that I copied a few years ago. But there was only one snow event from that period that resembled this, two feet over a 24-hour period at the start of February. The city dug its way out eventually, but the snow took its toll on buildings like St. James’ Cathedral, which lost its dome. There’s understandable confusion about railway service on Madison. 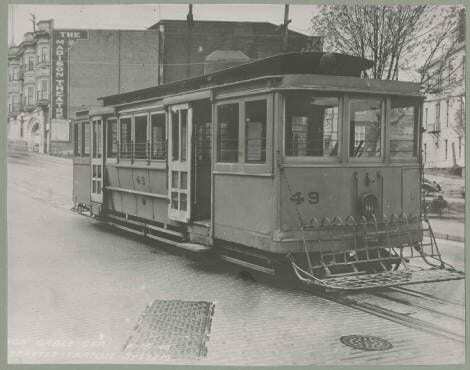 Historians often refer to the entire line as a streetcar, but it never was, not the whole thing. If you’ve been to or heard of San Francisco, you know what a cable car is: a car pulled up a hill by clamping onto a cable. That’s what Madison had to begin with, the full length from Post Avenue to Lake Washington. You and I know that streetcars have their own motors and are usually propelled by electricity from overhead wires. They’re different, cable cars and streetcars. But there is good reason people get mixed up. 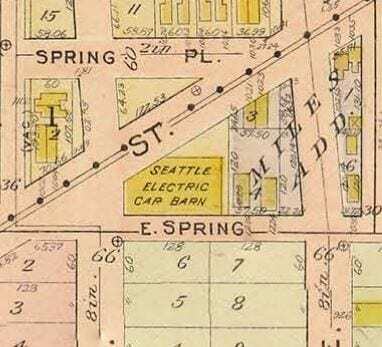 In 1910, the rail monopoly Puget Sound Traction, Light & Power decided to simplify their operation by cutting off the cable and running streetcars to the lake instead. They took advantage of the city’s regrades of Pike and Pine to bring streetcars all the way up from downtown and then transition to Madison Street. 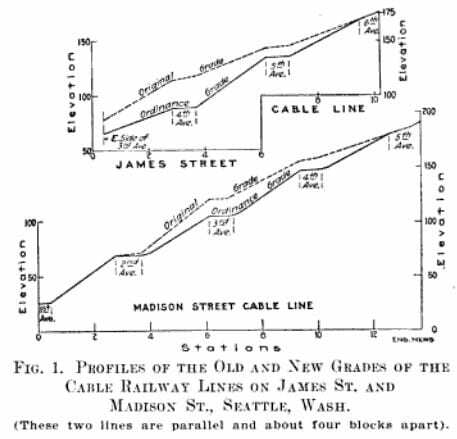 In 1910 the end of the cables happened at 21st, in 1911 all the way back to Broadway and then in 1913 service was extended back to 14th Ave. 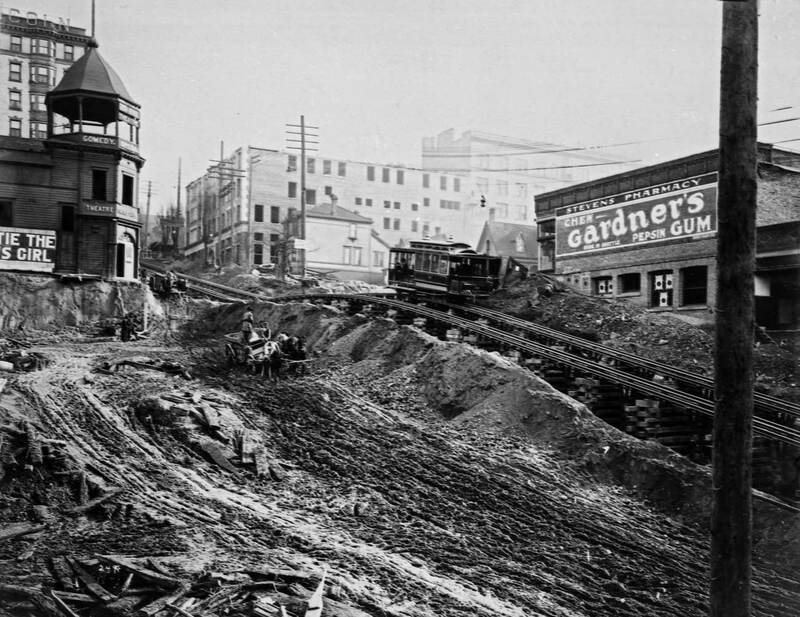 The 1910 work took advantage of a temporary closure of the cable line, necessary to accommodate the regrade of Madison Street from 2nd Avenue to 5th Avenue, allowing each of those streets to be leveled out. 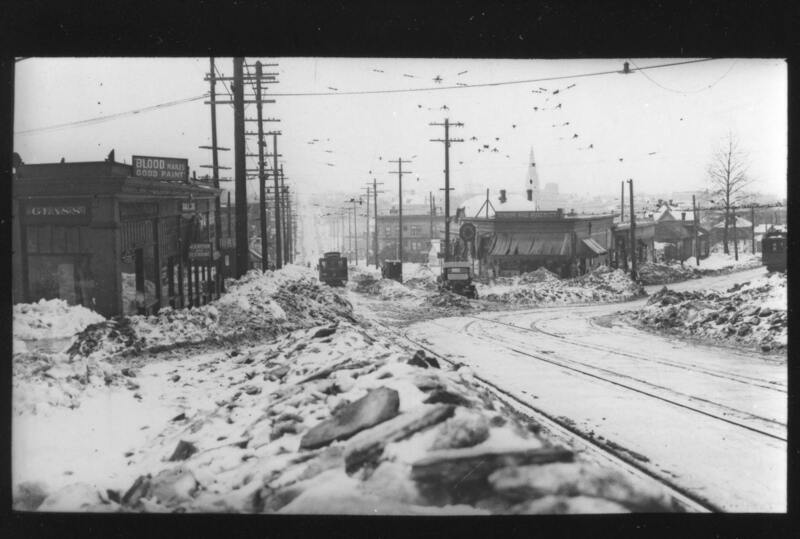 PSTL&P also built the car barn at Madison and 10th for the cable cars. They needed to park those cable cars somewhere. Amazingly there weren’t any major accidents during this work. Still, there is blood hanging over the Madison car line. It’s right there on that sign, “Blood Makes Good Paint”. That sounds like some sort of reference to the death of the old Piecora building to make way for new apartments, doesn’t it? It would make a catchy, ironic populist rallying cry. It also made great ad copy for T. L. Blood’s paint company. 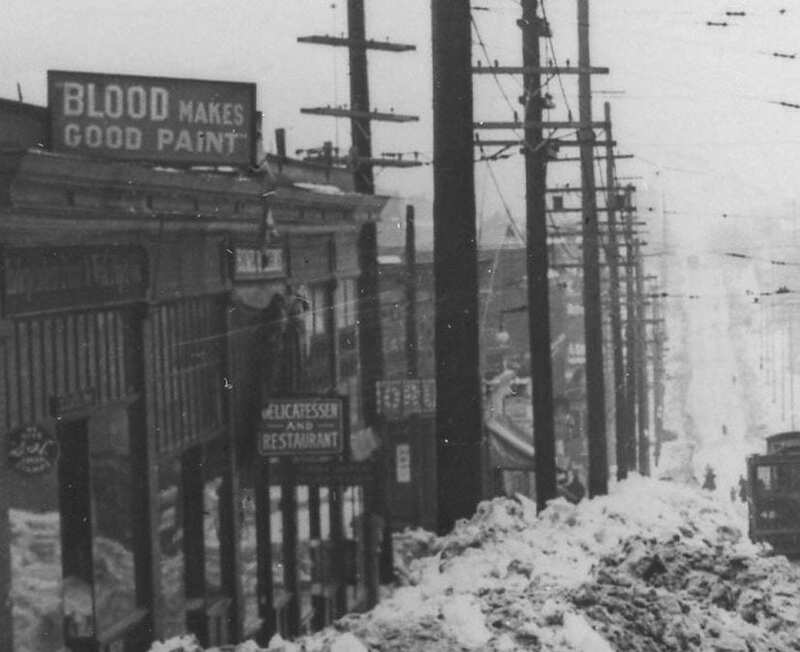 From its home in the Blood Warehouse in Saint Paul, Minnesota, T. L. Blood churned out lead-based paint for the blood poisoning of the nation. The billboard rested above the Independent Paint and Wall Paper Company. “Robert McIvor, a clerk who is employed at city council chambers, was seated in his room at 1214 Madison Street, looking out the rear window. He had heard of the robbery in the Clark [apartments] and was talking to his mother about it. 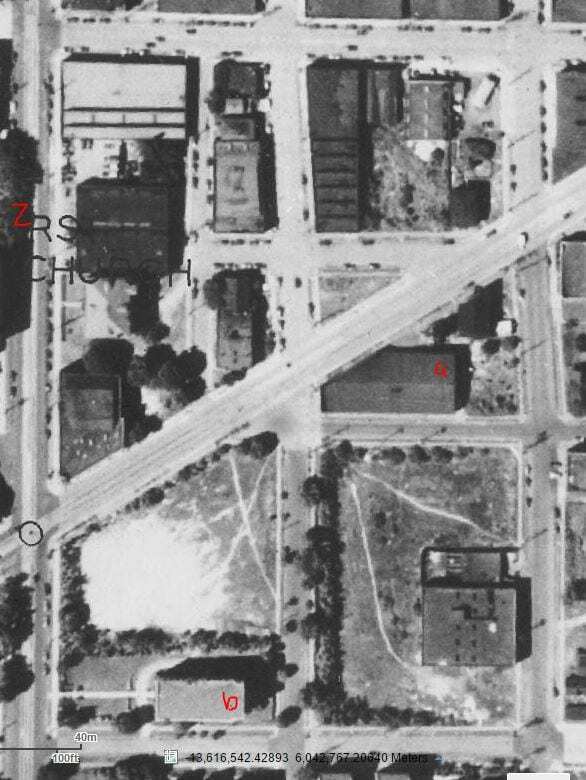 While he was looking out of the window McIvor saw fire spurt from [a] prowler’s pistol as he shot [Seattle police officer] Follrich through the right arm. McIvor said he fire three shots. 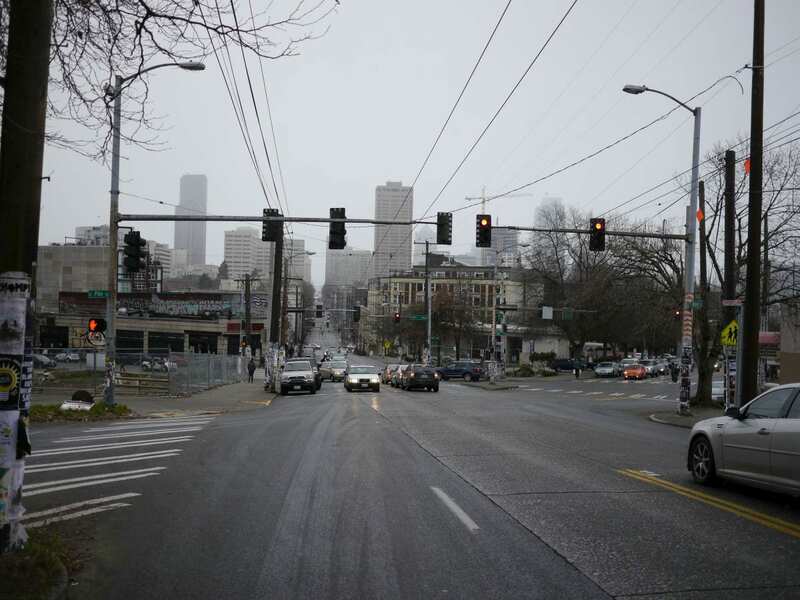 Is this the end of the line for my pledge to write a streetcar history article every month until Sound Transit and SDOT open the First Hill streetcar? I hope so, and maybe you do, too. I’ll boldly subhead this section and then tell you how the line came to an end. Surprise! 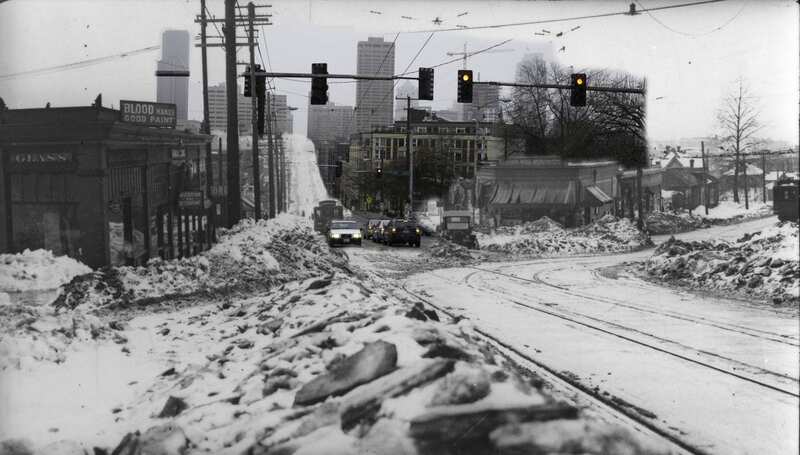 It ended in 1940, like every other street railway in Seattle. Streetcar service on Madison ended January 14th. The cable ended April 14th. The complete streetcar line closed on July 14th. Initial replacement service on Madison was a trolley bus. This entry was posted in News, etc. and tagged history, madison, retake, streetcar by Robert Ketcherside. Bookmark the permalink. Excellent and thoroughly enjoyable read. Thank you. I’m sure this is true, but I admit to harboring the perception of Capitol Hill Development repeating some of the same irrationalities over again and again. The concept of a streetcar without a dedicated lane appears to me to be just another bus stuck in traffic. I welcome the opportunity to be proven wrong in this case.